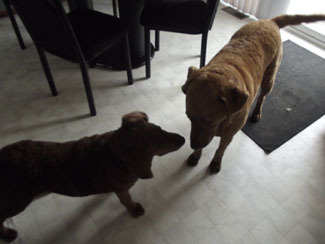 These are pictures of Muddy and Chessie's first meeting. 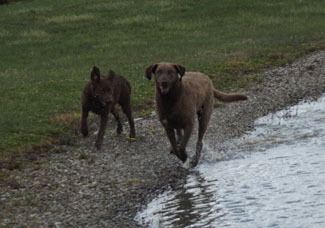 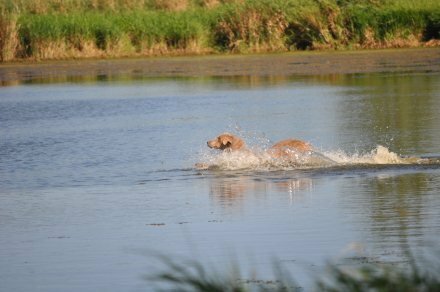 They did some retrieving and lots of playing. 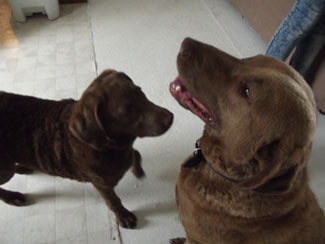 Muddy is the older one. 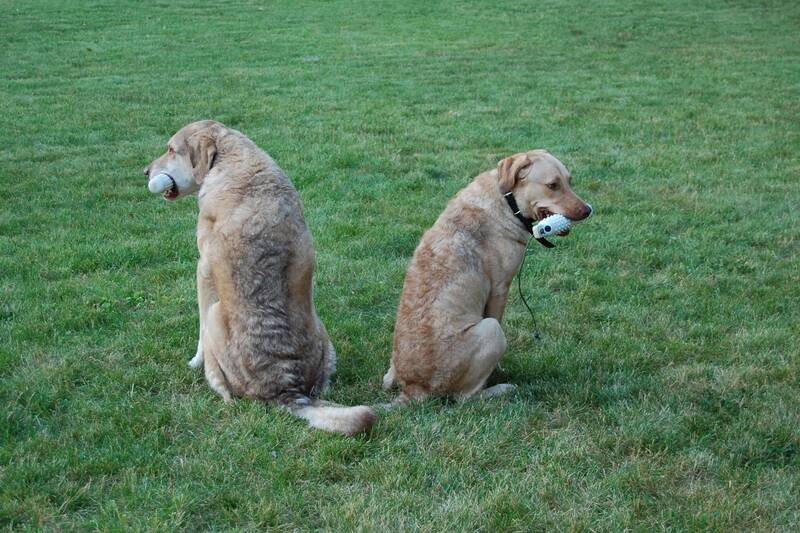 Submitted by John Theut. 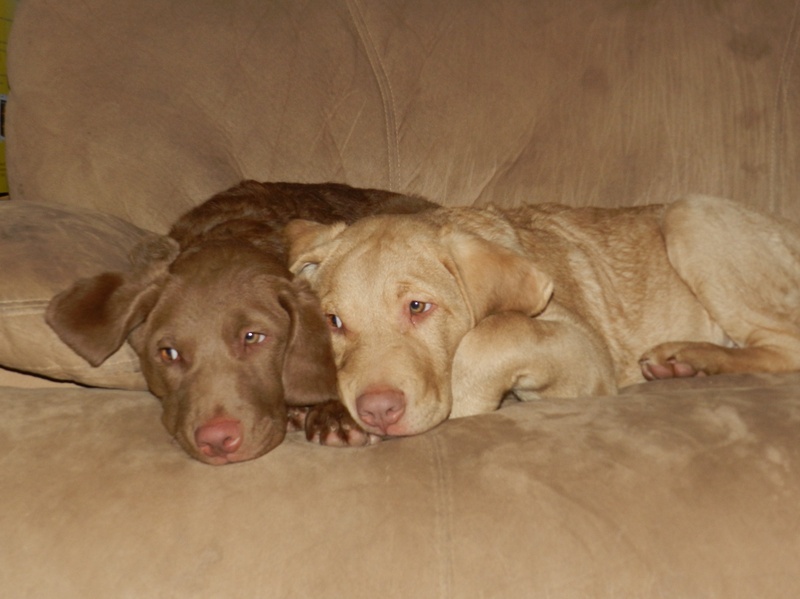 This is Maia & Titan my new additions from my breeding. 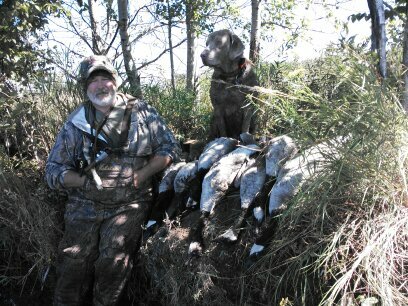 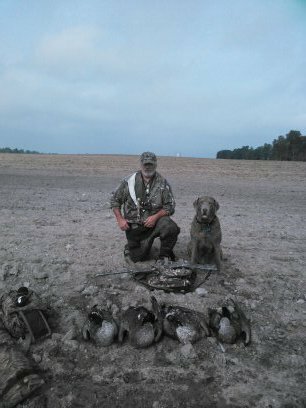 Cheyenne is 8 years old and started her field training when she was 6.
Who says you can't teach an old dog new tricks! 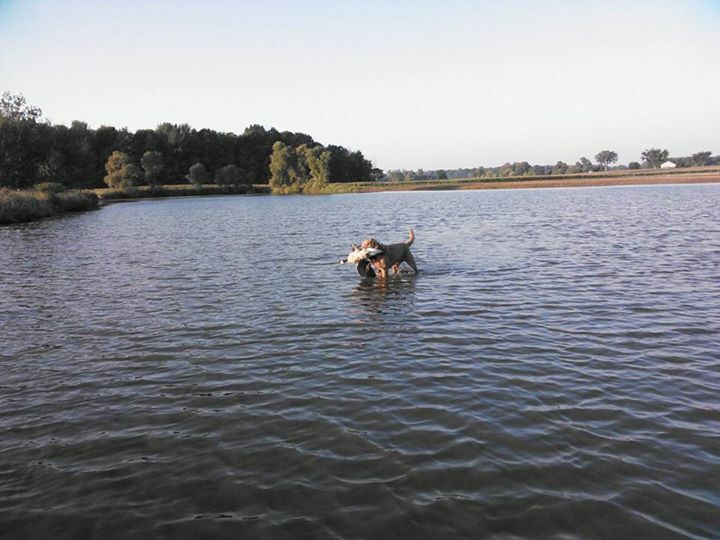 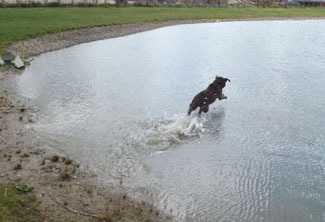 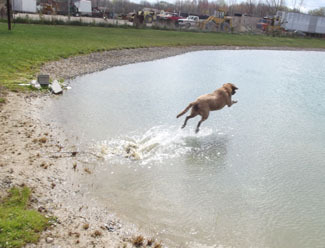 Smokey having fun in the water.